Arjun Jain, a young Hillsborough resident who loves playing hockey and building with Legos, has been going for treatment and fighting hard since being diagnosed with leukemia this past August. Steps Together, an organization based in Hillsborough that helps to raise funds and supports families facing all types of medical crises, heard that Arjun was sad because he couldn’t celebrate Halloween. 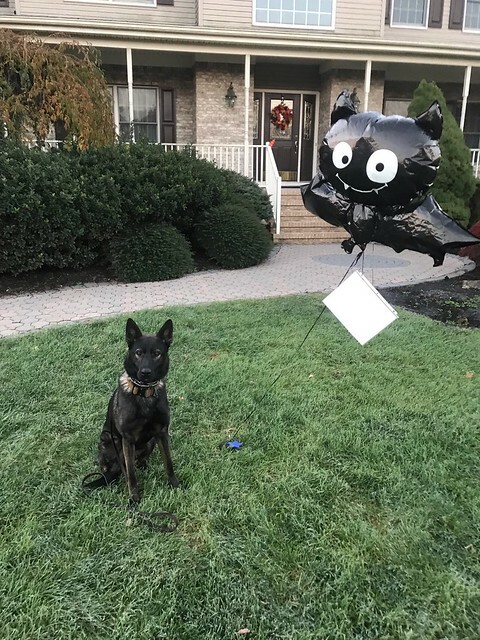 To ensure the 5th grader didn’t miss out on all the fun, the organization put the word out to Hillsborough residents to bring Halloween to Arjun by flooding his front lawn with balloons. The word spread quickly and by the end of the day hundreds of festive balloons covered Arjun’s yard. 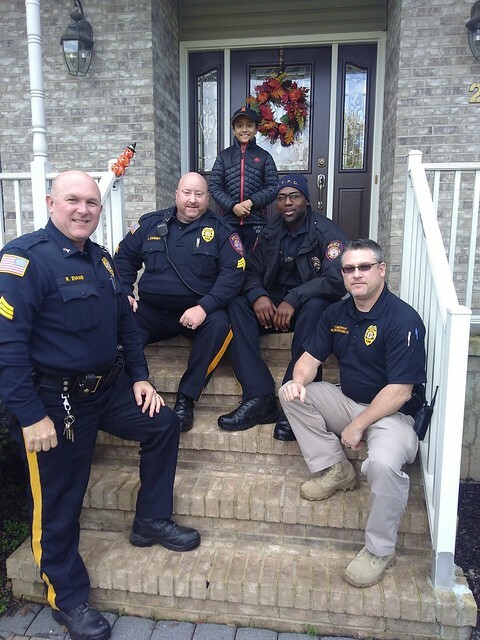 Members of Hillsborough’s police force got wind of the effort to cheer Arjun up and decided to pay him a visit. K9 Freddy, accompanied by Officer Jay Beverett, Cpl. Pat Murphy, Sgt. Rick Evans, and Sgt. 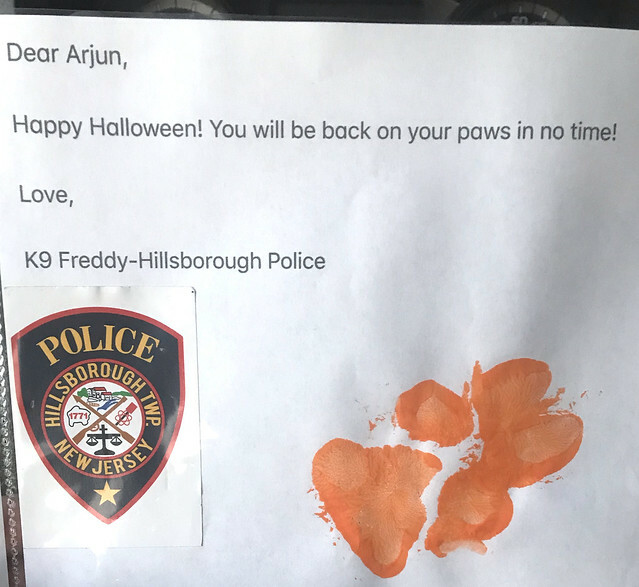 Jack Carney delivered a balloon and a note wishing Arjun a Happy Halloween and assuring him he would be “back on his paws in no time”.